No, there is no such thing as a universal wheel. Numerous factors come into play when deciding what wheels can go on your vehicle. Two of the most critical factors are the wheel’s diameter and width. 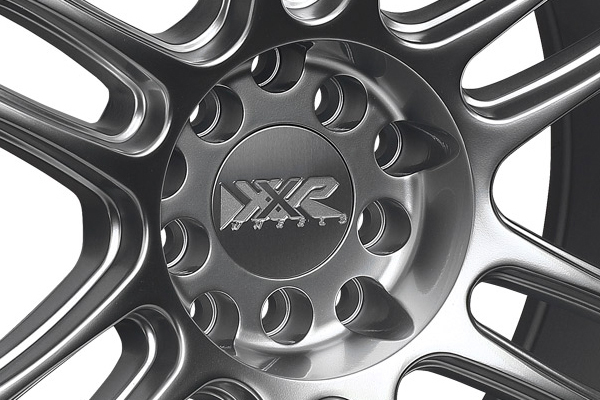 Every car will have a range of wheel diameter sizes of several inches that will securely and adequately fit. This is generally the result of vehicles having different wheel options and various sizes with each trim level (i.e. base model – premium luxury model). This allows the customer the option to choose wheels based on appearance and performance. The wheel’s diameter and width are measured in inches. 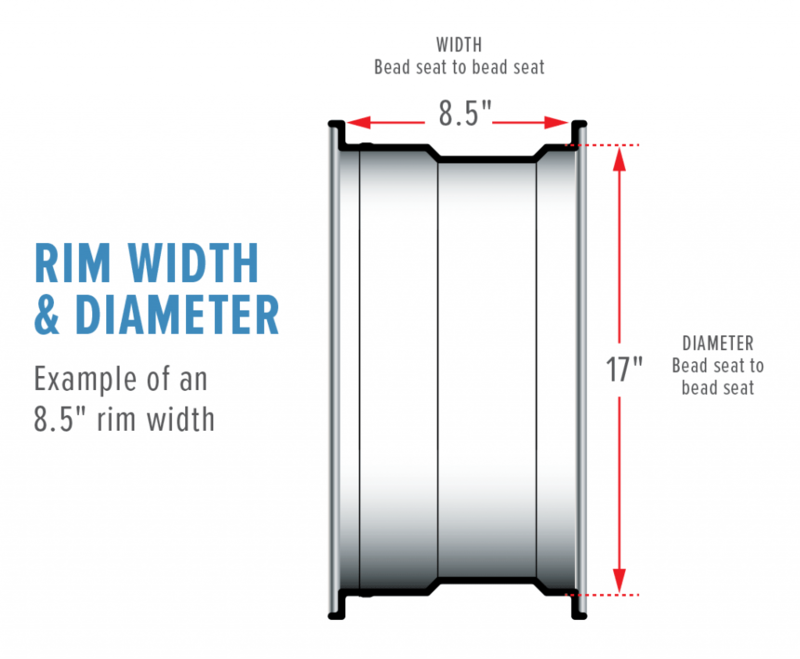 The wheel diameter is the height of the wheel across the center; while, the rim width is the measurement from the edge of one bead seat to other bead seat. A wheel’s offset is the distance from the wheel’s centerline to the mounting surface. It is measured in millimeters and depending on where the mounting surface is in relation to the center line; the number can be either positive or negative. 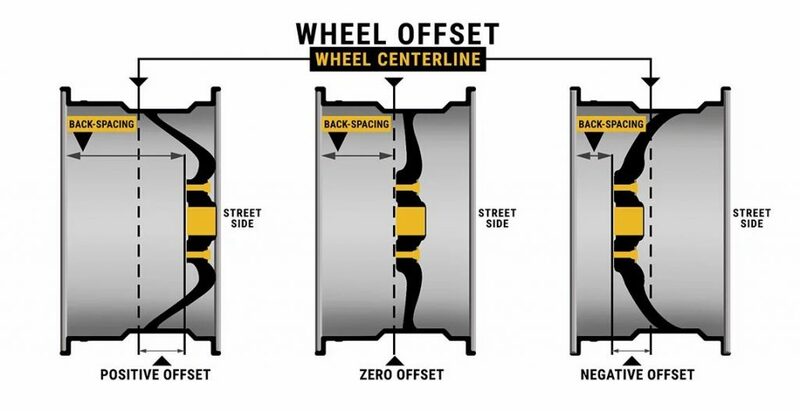 A positive offset is when the mounting surface is in front of the wheel centerline, and a negative offset is when the mounting surface is behind the wheel centerline. This is highly important because you must stick within the recommended offset range for your car. If the change is too drastic, the wheel may not leave enough room for the wheel hub and brakes to work correctly. An incorrect offset wheel may also interfere with your car’s turning radius and may also cause the wheel to rub against the wheel well. The Pitch Circle Diameter (PCD) is the diameter of the circle which passes through the center of all the studs, wheel bolts or wheel rim holes. If the wheel you are looking to purchase does not match your wheel hub’s PCD, then you won’t be able to install them on your car without additional parts or changing your wheel hub. Some people may think that dual drilled wheels are universal, but that is also not the case. Don’t be fooled by advertisements or salespersons, a ten lug hole wheel will not fit every five lug hole vehicle. Dual drilled wheels are wheels that have two bolt patterns or PCD’s. For example, a dual drilled wheel with bolt patterns 5×115 and 5×120 will only fit on vehicles whose bolt patterns are 5×115 and 5×120. These wheels will not fit on another bolt pattern. 2 Responses to Do Universal Wheels Exist?